WARNING: Discusses aspects of the plot, so don’t continue if you haven’t seen the final episode. Last night I sat down and watched the final episode of The Last Kingdom. Has my opinion changed from when I wrote about the television series a few weeks ago? First I should say that I enjoyed the series. I would have probably enjoyed it more if I hadn’t already read the books, but most of the time I sat back and enjoyed the action. The acting was good and there was enough humour to counteract the violence. Money had been spent, so that the final battle of Ethandun was suitably spectacular. 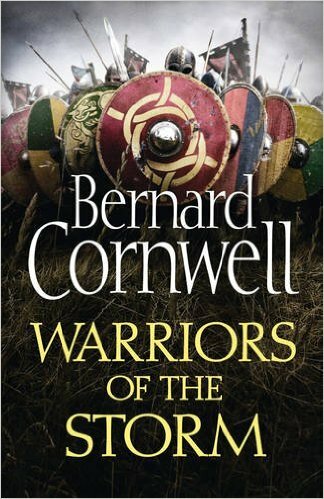 The later half of the series was based on the second book by Bernard Cornwell, The Pale Horseman. It is some time since I read it – I see it was published in 2005 – so ten years ago. I had to dash off to the library to borrow a copy. It was interesting reading the book and watching the programme in tandem. I have leant a lot about merging characters and the problems that might cause. A good example was the fight between Uhtred and Leofric. I was confused about it, why had Leofric turned against Uhtred? It just didn’t ring true. A good cliff hanger and you think – Oh they’ve got a plan to get out of it next week. No, they fought, were interrupted by the Danish attack and rode off best of friends. On the journey to meet Odda the Younger they stop at Uhtred’s Hall – not Steapa’s village which has been burnt and makes him angry. When they do meet Odda the Younger, it made sense in the book that Odda would tell Steapa to continue the fight, to kill Uhtred, but he turns and kills his former master. In the filmed version it is obvious that Leofric wouldn’t kill his friend, so Odda the Elder has to kill his own son. Another change is that for this journey in the book, Alfred stays behind, as does Iseult. Uhtred is told she will be killed if he doesn’t return, which puts Uhtred under pressure. So, why is Alfred creeping around in the background in disguise? Because they have merged this scene with another – a trip to the Danish camp at Chippenham. In the book Alfred pretends to be a harpist to spy on the Danes and Uhtred has to rescue him, along with Aethelwold and a raped nun (Hild – another two characters merged into one.) This, in its turn, is based on the original story of Alfred singing for Guthrum and the Danes. The more I think about it, the more I realise the amount of effort that has been put in to tell the same story (much of the dialogue is identical) while slimming down the cast and venues. It is something to think about in my own book. Should I consider merging several characters into one? Or shall I leave that to the script writers when they film it? Perhaps the market for Anglo-Saxon television series has now closed? Returning to the final episode. Leofric is now dead. What will happen to Steapa? This character appears in the later books. Over the final scene, where they ride off into the sunset (a bit of a cliché, but it’s what you expect) we were told that the series will continue. I look forward to it. But, who was riding into the future? I think I have got used to him, now he has got a bit rougher round the edges. 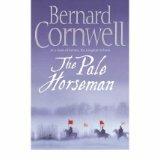 In fact, while reading The Pale Horseman my vision of him swung between Sean Bean and Alexander Dreymon. Not so obvious from the TV version (or the book) but she is a main character later on. And Uhtred needs a girl to hump! It looked like the boy who appeared in the final episode. According to the cast list he is called Halig – not a name that appears in the books (as far as I know). I think I heard it as Pyrlig and thought “Father Pyrlig has changed a lot!”. If you want to find out about Father Pyrlig who, according to the book, was at the battle (I suspect Beocca must have been merged with that character) why not read the book(s)? There are now nine in the series. In the most recent, Warriors of the Storm, published only a few months ago. Uhtred is a grandfather (perhaps there’s hope for Sean Bean yet.) and Brida reappears. I’ll say no more. Except… Please, in the next series, give them the right shields and sort out the clothes.